'One-time' Philadelphia holiday convention Furstivus appears to have been a success, despite being announced a mere six weeks before it was scheduled to begin. Lead organizer SkippyFox yesterday reported 238 attendees, with 45 fursuiters in its parade. 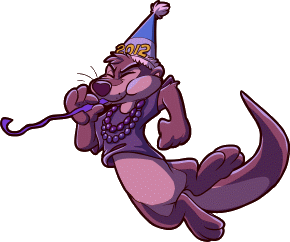 Furstivus took the place of the New Year's Furry Ball, which is expected to reoccur this December. The event raised $3,243 for childrens' video gaming charity Child's Play. The state is also home to Anthrocon and the Western Pennsylvania Furry Weekend. Anthrocon was formerly held just over the road from the Furstivus hotel — itself home to 1994's Furtasticon, the first East Coast furry convention. As much as I love charities, "Child's Play" really is kind of overdone in my opinion. I mean, how many video games do sick kids need? Hopefully if they hit the wall for gaming demand they'll start putting money toward curing them as well. I mean they made 3.5 million in 2011 alone looking at their maps there seem to be at most 200 hospitals. That'd be 17,500 a hospital. I mean, $17,500 is 350 full price games (are there even that many "rated E" games released in one year? ), or 116 Wii Consoles per hospital. Sooner or later all that hardware would just take up room more then it would help, I would think. Then again maybe the map is "current demand" and not a list of all partner hospitals. Hopefully though if it ever did reach that point where the games hits the wall, they'd let us know I'd hope. I agree that at some point it would be nice to see some of it going toward cures too, maybe a 50-50 split or so. But I think they have previously outlined why it takes a bit of money to outfit games for a hospital. Some of that money goes to systems, especially portable ones. And due to issues with potential contamination and infection, they don't want to give used systems to kids in many cases, so they give them new ones that I think they keep in the end. If they can't share portables that would make more sense yeah. "Ultimately, our individual partner hospitals determine how their donations are used [...] "
Which tells me we can rest assured that the money is being used as practically as possible. Fair enough, they probably know the logistics of the charity better then I, just something that has come to my mind time and again, especially seeing how often this charity comes up. There are worse things to donate to to be sure. According to http://childsplaycharity.org/about , donations are used not only for video games, but also for "toys, books, and other fun stuff for kids." Perhaps such as, giving each child a stuffed animal (new, for hygiene reasons), as well as providing consumable items like coloring books, crayons, art supplies, etc. Also, new games are being released all the time, and equipment may break and have to be replaced. Am I the only one who thought "Festivus" when I read the first time? I watch too much old TV.